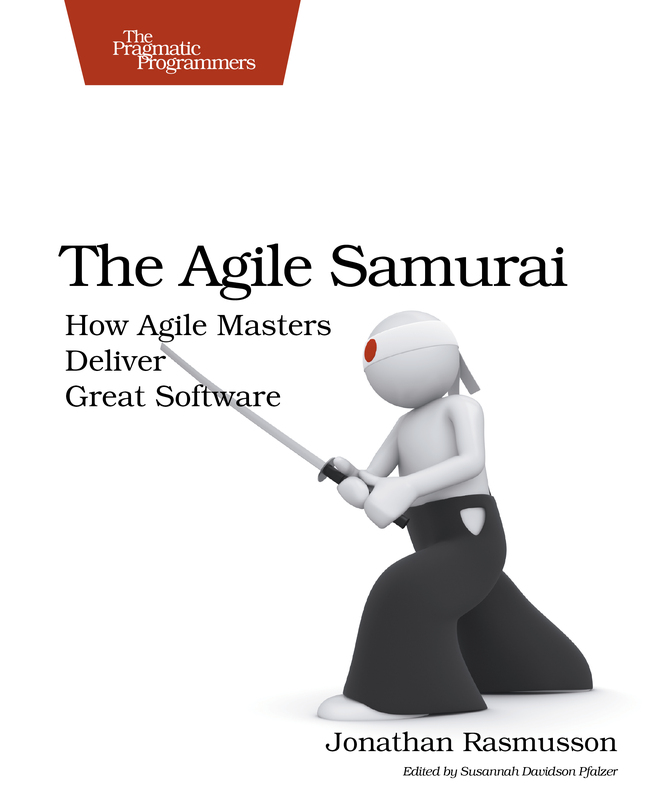 Having taken a graduate course in Agile Methods, The Agile Samurai book ended up being a great refresher for me. Written by Jonathan Rasmusson, an expert in his field and a friend of multiple authors of the Agile Manifesto, Jon does a great job of leading the reader through the agile development cycle. The book is structured so that depending on where the reader is on their current project (starting agile, failing, doing waterfall, testing, etc.) they will gain valuable insights on common pitfalls and recommended suggestions. The asides in the book are some of my favorite parts because Jon gives a personal example of how an issue being discussed affected one of his past projects. Whether the project failed or he was able to recover it, the asides are what I looked forward to reading. Jon also included a helpful Sensei and student discussion at the end of each chapter. He had the student at the Sensei a difficult question that the Sensei would reiterate a tenant of agile. The student would still be confused but then the Sensei would clarify allowing the student to ponder the issue further. The chapters were well organized and written and playful artwork kept the book moving forward. There were example situations with fill-in-the-blanks that some might find helpful but I thought of the answers to myself and moved on. For the price, it is a good introduction or refresher into all the agile methods, not any particular one. If you are interested in more information, here is the book’s website. This entry was posted in Reviews and tagged agile, book, review, software development. Bookmark the permalink.